Join Little Dolphin and his saltwater friends for fun and adventures in Urchin Bay! It’s a glorious day, and Little Dolphin and his friend Milo are learning to jump! But other things soon get in the way. Hattie the hermit crab has been tricked out of her shell by mean old Vinnie the shark. Now she’s got nowhere to live! 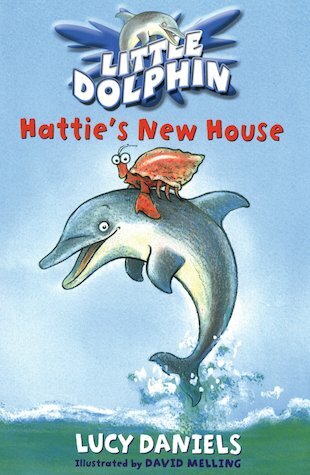 Can Little Dolphin and Milo splash to the rescue and put the smile back on Hattie’s face? A sploshy, splashy new adventure series. Come and explore Little Dolphin’s deep blue underwater world!